Fri., Sept. 22, 2017, 5 a.m.
Where: Knitting Factory, 919 W. Sprague Ave. Cost: $22. Tickets available through Ticketweb. But what if the people behind “it” realize they’re in a rut? That what they’ve always done isn’t going to work anymore? That continuing to do what they’ve always done would be “life sucking”? If you’re instrumental rock quartet Explosions in the Sky, you make the decision to fix it anyway, no matter how successful it may have been in the past, to move away from the path you’ve walked during your nearly 20-year career and toward parts unknown. The result of this exploration, 2016’s “The Wilderness,” brings Explosions in the Sky to the Knitting Factory on Saturday. The band didn’t go into the recording sessions for what would become its seventh studio album having consciously decided to do things differently. Rather, that decision came after the band realized they were writing in a new way, which was a welcome relief for drummer Chris Hrasky, who worried that the band, after 18 years together, was starting to become a parody of itself. In the past, Explosions in the Sky songs have come from one member presenting a musical idea to the rest of the group. The band would then build upon that idea, going back and forth in a process that ended with the four of them playing the song together with guitars and a drums, reflecting how the song would be presented live. When recording “The Wilderness,” though, the idea of the live element was thrown by the wayside, allowing the band more freedom in the studio. As a result of this new, freer manner of writing, there’s a lot more going on on “The Wilderness,” which Hrasky said is very much a studio record. 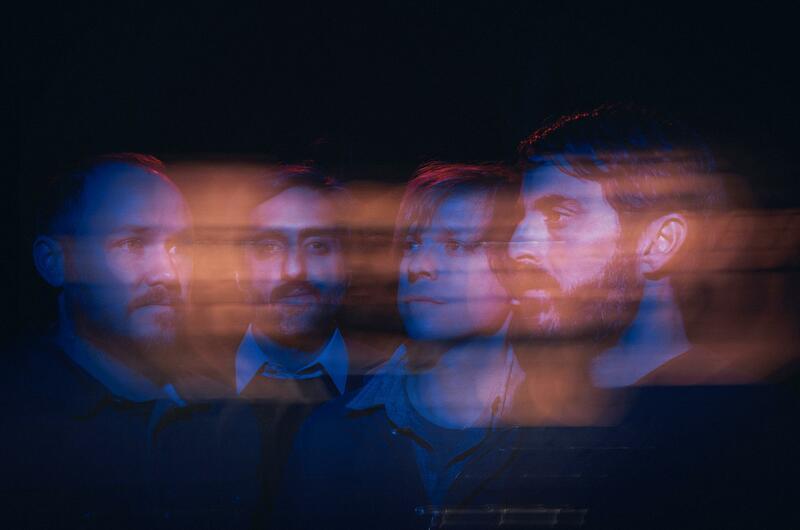 Not to suggest that previous Explosions in the Sky records are sparse, but the layered instrumentation on “The Wilderness” makes the quartet – guitarist/bassist Michael James, Hrasky, guitarist/keyboard player Munaf Rayani and guitarist Mark Smith – sound twice as big. “For me, it was a lot of fun to do it that way and much more where our heads are at right now and our tastes are at was to try something a little different,” Hrasky said. While working on those soundtracks, Hrasky said the band worked with orchestration and instruments that wouldn’t have made it onto previous Explosions in the Sky records. Recording “The Wilderness” without the performance element in mind also meant that the live show, when they did get around to thinking about it, would be different, too. The biggest change has found the band triggering samples as they’re playing, but after an estimated 150 shows in support of the album, those extra responsibilities have become like second nature. “We’ve been doing it a year and a half so it has become muscle memory, which is when live shows are the best is when you don’t have to think about what you’re doing too much and you just play,” Hrasky said. After the run of dates that brings them to the Knitting Factory, Hrasky said the band plans to take a break before working on new music. Whether that music is for an Explosions in the Sky record or a soundtrack remains to be seen, but it will be music that, as per the band’s policy, all four members will be on board with. Finding mutual ground has become more difficult over the years as the quartet has gone from spending nearly all of its time together and almost sharing the same brain, as Hrasky put it, to having families of their own. But with new perspectives come new musical ideas that each member brings to the table. “There’s all these different ideas coming in to really create something that none of us could have really done on our own,” Hrasky said. And though those ideas can sometimes cause a frustrating three-against-one situation in which a song is scrapped if the fourth musician can’t be convinced of its merit, Hrasky said the band, for the most part, still shares the same brain in regards to the future of Explosions in the Sky. “It’s definitely harder to get on the same page with certain things but for the most part, in the overall, broad sense, we’re still very much locked up with each other in terms of what we want and how we want things to go,” he said. Published: Sept. 22, 2017, 5 a.m.